I am a researcher in the Microsoft Research RiSE (Research in Software Engineering) group, and also affiliated with the Redmond Security and Privacy Research group. My research interest is mainly on systems security and privacy. My hope is to solve practical security problems using rigorous program analysis technologies. Shuo Chen is a senior researcher at Microsoft Research Redmond. His interest is on studying real-world operational systems to understand their security challenges and flaws. Specifically, he spends significant time studying problems about software-as-a-service, browser, web privacy/security and memory-based issues. He served on the program committees for IEEE S&P, USENIX Security, ACM CCS, WWW, etc. Shuo obtained his Ph.D. degree in computer science under the guidance of Prof. Ravi Iyer from University of Illinois at Urbana-Champaign. He obtained his master’s and bachelor’s degree from Tsinghua University and Peking University, both in computer science. • Researchers find major flaws in online payment systems. CNN, April 13, 2011. • Your health, tax, and search data siphoned: Software-as-a-service springs SSL leak, The Register, March 23rd, 2010. I encourage Ph.D. students to seek opportunities of Microsoft Research internships. I myself was interning here in the summers of 2003 and 2004. MSR internship is interesting, challenging and rewarding. Please ask your advisor to write a reference letter for you as early as you can! Most offers are made in the early spring. Summer 2016: Matt McCutchen (MIT). Project: Self-Verifying Execution. Summer 2015: Peter Chapman (CMU). Summer 2015: Daniel Song (Rice University, co-mentored with Helen Wang). Project: Self-Verifying Execution. Summer 2013: Eric Chen (CMU), expertise: web security. Project: Certification of symbolic transaction, in IEEE Symposium on Security and Privacy 2015. 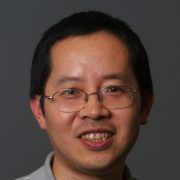 Summer 2012: Yuchen Zhou (University of Virginia), expertise: web security. Project: Implicit security assumptions of SDKs, in USENIX Security Symposium 2013. Summer 2011: Rui Wang (Indiana University), expertise: web security. Project: Web-based single-sign-on systems, in IEEE Symposium on Security and Privacy 2012. Summer 2010: Rui Wang (Indiana University), expertise: web security. Project: How to shop for free online, in IEEE Symposium on Security and Privacy 2011. Summer 2009: Rui Wang (Indiana University), expertise: web security. Project: Side channel leaks in web applications, in IEEE Symposium on Security and Privacy 2010. Summer 2008: Hong Chen (Purdue), expertise: access control. Project: Browser’s residue objects, in EuroSys 2010. Summer 2007: Ziqing Mao (Purdue), expertise: access control. Project: Pretty-Bad-Proxy, in IEEE Symposium on Security and Privacy 2009. Summer 2006: Ralf Sasse (UIUC), expertise: formal methods. Project: GUI logic errors, in IEEE Symposium on Security and Privacy 2007. Table tennis is my hobby.